Pantene, the World's #1 Hair Care Brand, is dedicated to keeping every woman's hair healthy, shiny and beautiful. I received products from Pantene to create a holiday hair look for you. I had a lot of fun with this challenge and I talked about all the styles I was considering for a final look in Part I of this post. I think I was pretty successful in creating a great hairstyle that blended some retro curl elements with a classic pinned back look. 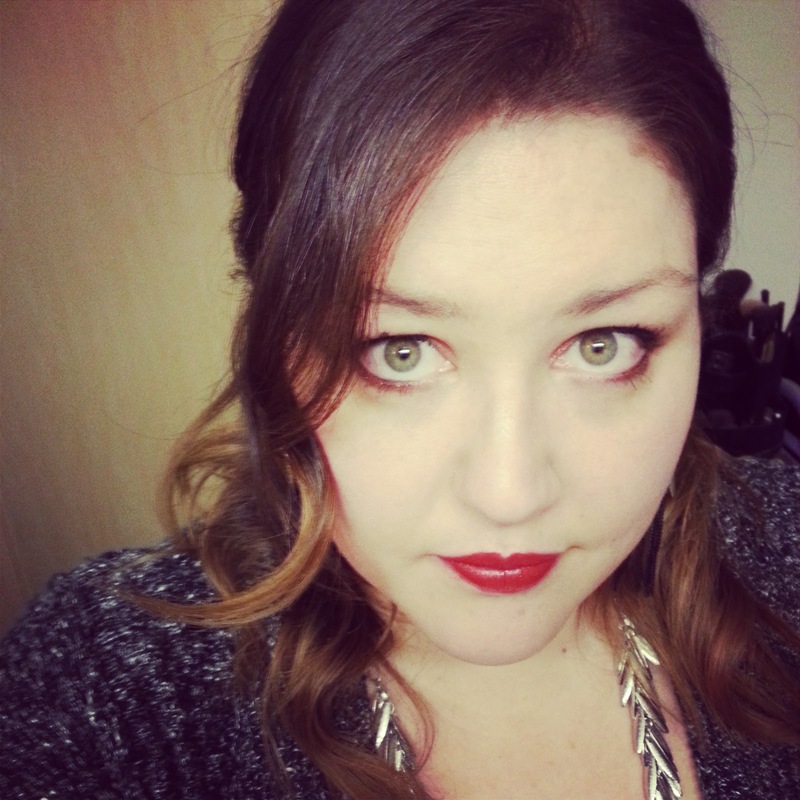 Pair this with neutral eye look (with simple cat eye) and a classic red lip and you're ready for your holiday party! I was so happy to be able to try products from Pantene. I do heat style my hair pretty frequently and with color treated hair, my hair can sometimes suffer. These products really were easy to use and helped me to create this fantastic look. I love products that are easy to use and affordable and do what they say they will do. My favorite product was the Argan Oil Shine Serum. It was really lightweight, smells great, smoothed down any frizz and helped make my ends look a little healthier. I also found the Triple Action Volume Mousse was really effective with shaping my natural curls. 3. I don't like curls to look too perfect, I like them to look a little more natural. In order to achieve that kind of look, grab the very ends of your strands and lightly shake to loosen up the curls. You can also take a larger curl and break it into 2-3 curls. I find a light touch with this step really helps. 4. Apply Pantene's Argan Oil Shine Serum. I use 2-4 pumps of this product, depending on the amount of smoothing my hair needs. I rub this between my palms before applying and again with a light touch, work through your hair. I basically graze my hands over my hair. I then grab some of the ends and apply the remaining product to the ends. This product really is lightweight and didn't make my hair look oily at all. 5. Apply Pantene Root Lifter Spray Gel and massage scalp with finger tips to create some volume. 6. Part hair to one side. Before this, I really haven't used Pantene products all that extensively. I know my mother uses Pantene and I've happily used hers while home. I was really excited to get to test out these products more and I was really surprised and happy with the results. There really wasn't a product that I didn't like or that didn't live up to it's claims. These can easily be found at drugstores and are high quality yet very affordable. 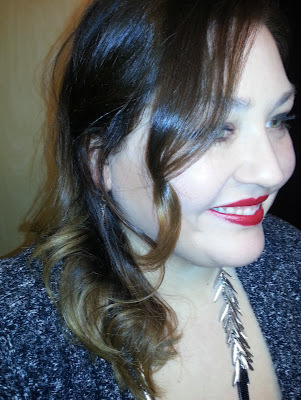 I had a blast creating this holiday hairstyle with these Pantene products! What do you think of my finished look? Which Pantene product is your favorite? Comment and let me know, I'd love to hear from you!